Conservative mutual funds are important retirement investments. Retirement can present you with fundamental investment challenges, including where to put your money so that it protects your wealth, keeping pace with inflation and fostering your financial legacy for your family. If you're a senior citizen, choosing the right portfolio of mutual funds can help you reach your goals. A longstanding principal of financial management holds that any investment should be appropriate for your age, including mutual fund shares. Young people can invest in speculative mutual funds that offer high risk with the possibility of high returns because time is on their side. A heavy loss can be recaptured over the course of time. As you enter or approach your golden years, the exact opposite is true -- time is not your friend. As a senior you need to keep in mind that your short time horizon requires a more conservative approach when it comes to investing in mutual funds. If you're a retired investor, or approaching retirement, it's important to focus primarily on making sure you preserve your wealth while generating income for your everyday needs. The relative safety of bond mutual funds can offer peace of mind, but you need to be aware of the different types of funds and quality. U.S. government bond funds are among the safest investments in mutual funds. Investment-grade corporate bond funds offer income and stability, but seniors should stay away from any fund labeled high yield or junk. You should also consider municipal bond funds, which offer tax-free income, which can be especially attractive in high income tax states. However, the credit quality of these funds should also be investment grade. 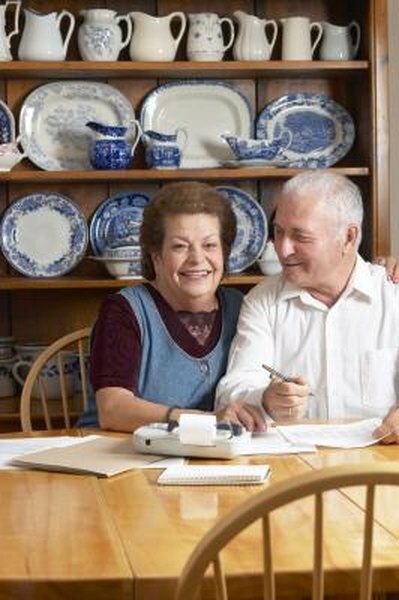 For senior citizens, it is also important to allocate a portion of your assets in an investment that can continue to grow, which helps protect you against inflation. Mutual funds that invest in well-known dividend paying stocks can help you accomplish this goal. What you should be looking for are mutual funds that invest in stocks that are included in the S&P 500 or the Dow 30. You can invest in an actively managed fund where a money manager picks and chooses the stocks in the fund, or an index fund, which invests in all of the stocks on an index proportionately. To evaluate quality, you will need to do a little research. Multiple financial sites are available on the Internet that provide ample ratings and comparisons of different types of funds. Personal finance publications also regularly rate and compare funds. But don't just look at a fund's performance. Many charge sales fees and may exact management expenses that are higher than the average for funds in that category. Also, it's always a good idea to consult with your tax adviser before you invest. Particularly with the lower returns that conservative funds typically yield, taking out a tax bite can hurt. Do 'Safe' Target-Date Retirement Funds Have Hidden Risks?